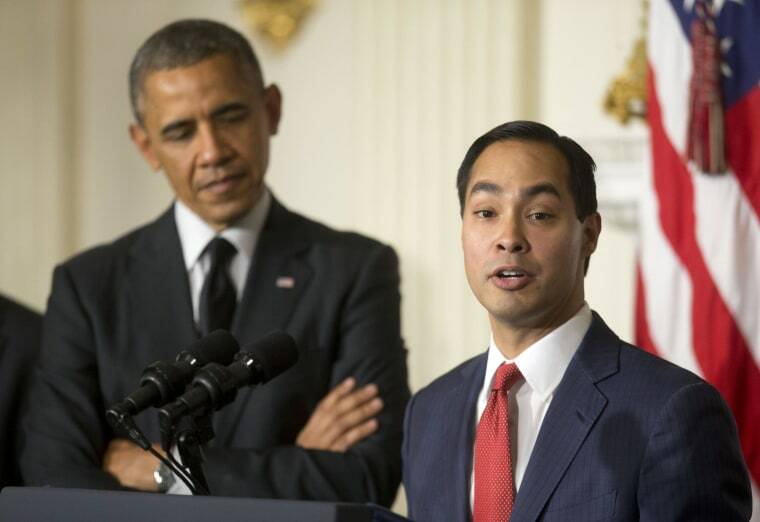 President Barack Obama on Friday nominated San Antonio Mayor Julian Castro to become the next secretary of housing and urban development, calling him an “All-Star” who embodies the American dream. Castro will replace Shaun Donovan, who Obama nominated to become director of the Office of Management and Budget. Castro gained national recognition in 2012 when he delivered the keynote address at the Democratic National Convention, becoming the first Latino to do so. He has been mentioned as a possible vice presidential pick for the Democratic nominee in 2016. Obama said he chose Castro, in part, because of the attention the three-term mayor gave to revitalizing San Antonio’s downtown. Castro will be tasked with facing of the continued fallout from the housing crisis that plagued the beginning of Obama’s term. Donovan, who has served as HUD secretary since 2009, will replace Sylvia Mathews Burwell. The president last month nominated Burwell to become the head of the Department of Health and Human Services following the resignation of Kathleen Sebelius. Both Castro and Donovan will need to be confirmed by the Senate.